The petite lap giraffe (PLG) demand has escalated and is now over 600,000 (and counting) partially due to the recent appearance in the commercial above. In fact, it is a good thing that there is such a long waiting list for these mini giraffes–because getting ready to add an animal into your home is serious business. The good news is that you can use the time your are waiting to prepare for your tiny giraffe and in doing so, become a leader in the pet parenting world where preparation, care and training make up the three foundational points. So, let’s explore what is required in each step for your foundational pet parenting skills. 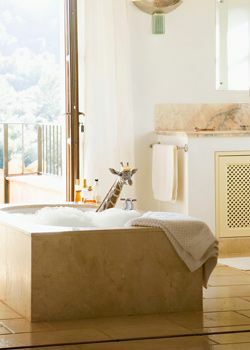 Preparation for the arrival of the little giraffe is the same as it is with any pet. First you have to identify the breeder and any natural history about the animal and its natural environment. Not much is known about the origin of this adorable creature and Sokoblovsky Farms (Russia) is the only captive breeding facility known to exist. Established in 1908, this means that the Sokoblovky family has the distinction of being the only source for this elusive animal. The commercial operation began after Nicolas Sokoblovsky abandoned the circus. It was reported that he absconded with Alex, the miniature giraffe (and founder animal). Over time the whole family became involved in the business of petite lap giraffe breeding in Russia just about 50 miles outside of Krasnodar. What remains a mystery is where the female foundation animal came from since she was not identified. Also missing in the description is the native origin of this mysterious animal. Even though a lot of information is lacking, it is possible to glean some insights from their larger cousin, the African giraffe of which there is one main species Giraffa camelopardalis with somewhere between six and nine subspecies. Subspecies of giraffes are defined by differences in their spot (pelage) patterns, ossicones (horns) and skull shapes. Read more about giraffa. Although it is a bit long winded, you might also enjoy this podcast about giraffe subspecies. Anyway, because this mini giraffe is a new breed on the market, not much is known about them. Seriously, they are liable to snack on all things green. And just how are you going to walk them–just what harness will work? Note: The barn water bowl featured in the giraffe cam is totally inadequate in my opinion and probably the reason that some of the captive bred animals seem to become prone to neck aches and migraines despite the breeders claim that there are no problems. These pets are going to flood the pet industry with species specific demands for new products. Specialty items that will be needed include a long line or lead, hoof care and coat care products, that specialty bubble bath formula, proprietary treadmill, eye lash combs, proper bedding, unique pet toilet, raised feeders and watering bowls. Then there is the specialty attire, horn covers, neck warmers, fitted harnesses, specialty seat belts and non-slip hoof covers–you get the picture. Oh, and don’t forget the music–long rumored to soothe the savage beast, the only composer suitable is identified as Nikolai Rimsky-Korsakov and this makes me wonder if this specialty breeder is not disclosing the dark side of this miniature giraffe which may lead to mayhem or other abhorrent behavior if there is an absence of this vital part of his or her requirements. I mean seriously, you don’t want your mini giraffe bashing its head or running at high speed into something in distress–right? The high demand will also mean that the ASPCA pet poison hotline reference section is going to have to be expanded immediately to deal with the concerns and demands of the new breed. For example, Ficus is listed as toxic to horses, cats, and dogs which should be alarming since can you really be sure it is safe if your mini giraffe decides to nibble on it? As it has been described, the species only eats Bonsai trees but the breeder has not publicly disclosed what specific type is needed. Plus, you need to find out if there a grower in your local area or if you will need to have the product shipped in. This also brings up the question, are there enough growers to even meet the demands of this new pet? This could be something to be alarmed about. Plus, how do you toilet train this animal? Although the breeder indicates that they can be trained to use a box, the giraffe cam only shows them in a barn situation with hay. In general, Giraffe poop is not one simple poop pile but a bunch of pellets. This has been described as resembling “cocoa puffs.” Their larger cousins amble while pooping, and so it can be assumed that the small giraffe cousin is likely to do the same. Size: Adult is 76 centimeters, baby is 15 centimeters tall. Weight is 4.5kg unless the giraffe is fat cow then 5.44kg. Diet: Distilled water and bonsai tree leaves. Health problems: None. They are the best. Living conditions: PLG’s love being indoors in filtered air conditioning. If they can listen to music of Nikolai Rimsky-Korsakov it is dream. Grooming: a bubble bath once a week with purified water is all they need. Now I’ve written about giraffe training before and so I want to stress that learning how to train animals is not a mystery and should not be overwhelming. You see good animal training practices are standard operating procedures. Training one animal over another requires the same skill set and techniques. 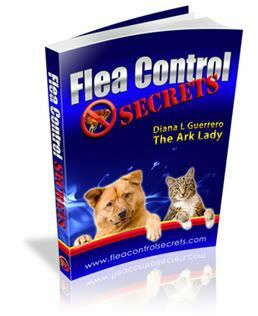 What varies is the understanding of the particular species or breed and then identifying the specific social style your particular pet exhibits. This is what helps dictate how you apply those techniques. Also, if you are using archaic techniques popular in the domestic animal training world–get over it. You need to step into the modern art and science of animal training instead. Using force, harmful or painful devices is passé and will only create a problem for this sensitive and delicate creature that is about to enter life in the human world. Now that I think about it, this is a good time to point out some of the differences between domestic and wild animals because the domestication process and selective breeding results in more amiable behavior (and adaptations) for living with man. Wild creatures, on the other hand, tend to be wired for survival and to take advantage of any weaknesses or inconsistencies and are more sensitive to the environment. Since your little giraffe will be a blend of the two (not quite domesticated and not quite wild) your training methods and care need to be cutting edge, and so the preparation and subsequent animal management is going to be tough. So you better hire me early (sign up for the waiting list) as I am sure the demand is going to be huge. So now you have some of the information needed to help you prepare for your petite lap giraffe ownership. If you have any questions or comments, please leave them now. Okay, okay, this has been an informational post on a totally bogus animal but a really clever marketing campaign. However the information included about preparation, care, and training for animals is valid and are steps that a good pet parent would take and so, it was a great opportunity to share it! LOL – I almost fell for that. Good one! Hey Jo, you are not alone as a whole lot of people have fallen for it! Yep, sorry–but if it is any consolation–you are not alone!